Iroquois became the H-1 in the new tri-service designation system which changed the HU-1A and HU-1B to UH-1A and UH-1B. The following was done recently for a museum. 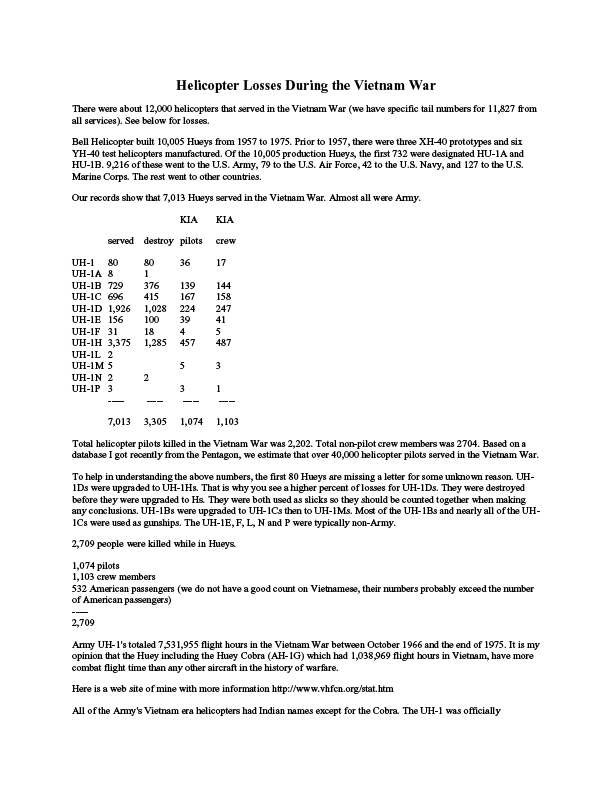 Total helicopters destroyed in the Vietnam War was 5,086 out of 11,827 Please note: These numbers were compiled at different times with different conditions; therefore, there are some discrepencies between the two sets. I will not be able to resolve the differences within your time frame, but the above should give you plenty of information to make some fairly accurate general statements.